Get Premium Flowkey App for FREE- A. Hanna & Sons Pianos Ltd.
Get Premium Flowkey App for free with your new Yamaha Digital Piano or Keyboard bought from A. Hanna & Sons Pianos Ltd.
As official Yamaha dealers, A. Hanna & Sons Pianos are pleased to offer you this extremely generous deal on behalf of Yamaha and Flowkey. For a limited period, you can get access to Flowkey App and its entire library of Premium songs for three months completely free of charge when you purchase a Yamaha digital piano or keyboard from our shop. What’s more, you don’t have to provide any payment details to begin your membership. All you have to do is register the Yamaha piano or keyboard you bought from A. Hanna & Sons Pianos. Please check Yamaha’s terms and conditions below to find our if you are eligible. 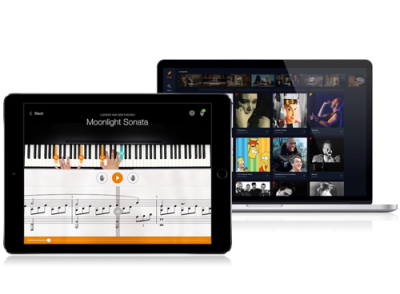 Flowkey is one of the world’s most popular app for learning to play piano in an intuitive way, used by over half a million piano players. It offers a huge selection of interactive song tutorials and lessons that give you instant feedback and track your progress. The App is available in English, German, French, Italian and Spanish. To get three months free premium access to flowkey app follow these three simple steps. 3. Follow the link to the flowkey site and use your unique code to enjoy three months premium access, worth €38.99, completely free of charge! You can use the application on your PC, Tabled and your Apple or android based devise. To learn more, please visit http://www.flowkey.com/en. This offer consists of three months of Premium access to flowkey. No payment details are required to begin the membership. At the end of the 3 month period, if you do not choose to upgrade your membership, your membership will automatically revert to the free Basic membership, with limited access to flowkey content. This offer is only available with products purchased from a participating Yamaha dealer within Europe. The product must be registered within six months of purchase date. flowkey premium access must be activated within six months of the date when your product was registered. Promotional codes not redeemed within 1 year of receipt will expire. Internet access and a suitable computer/iOS or Android based tablet device (not supplied) is required to use this offer.